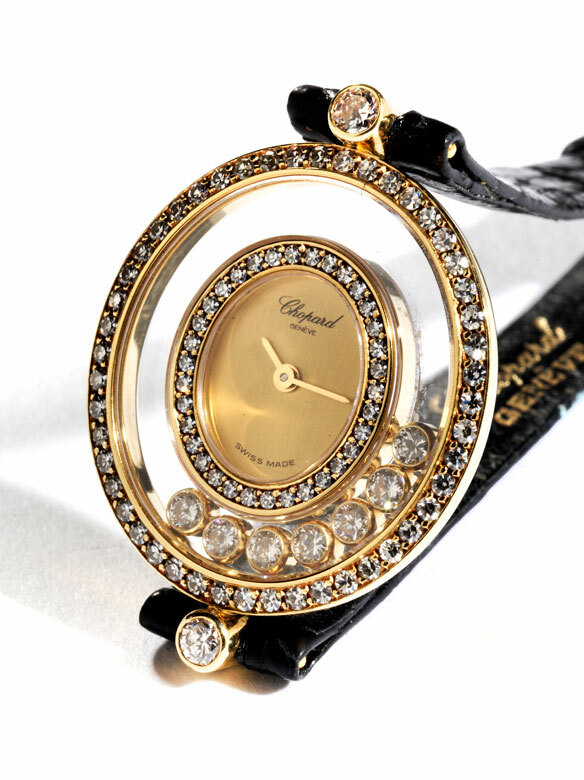 Fine, oval ladies’ wristwatch by CHOPARD model “Happy Diamonds” in 18-ct yellow gold, 24 mm in diameter, bezel studded with brilliant-cut diamonds and six flexible brilliant-cut diamonds in gold setting underneath the sapphire crystal glass. 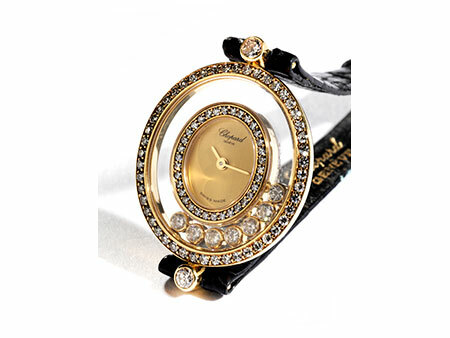 Yellow, oval dial. 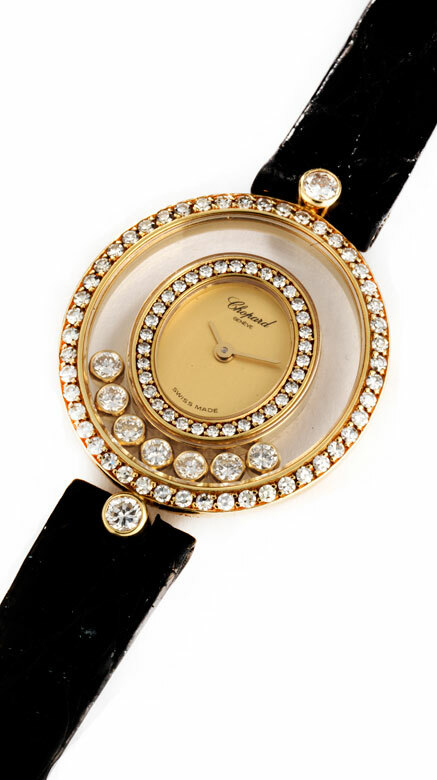 Quartz movement with separate pin to adjust the time. Original price approx. € 13,000.